Given the camera's the low resolution, Longjiang-2 has provided some impressively detailed images of the lunar surface. Longjiang-2 captured this photo during the new moon, when the Earth-facing side of the moon was completely dark and the far side was entirely illuminated instead. The country's space agency sent communication hardware into lunar orbit so that it could relay information back and forth between the lander and rover on the Moon's far side and engineers back on Earth. According to an article published by Futurism, China's Longjiang-2 satellite entered the Moon's orbit in June 2018, alongside the satellite Queqiao. 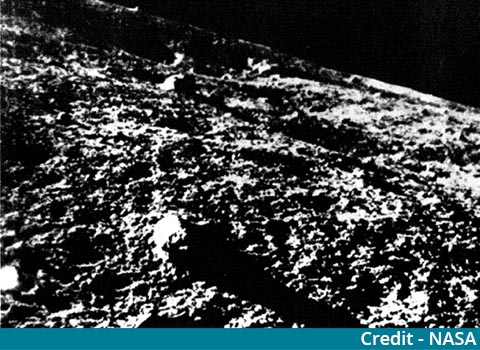 "The far side of the moon has many more visible craters than the side of the moon that we can see from Earth", Dijkema wrote in a blog post about the latest image. Queqiiao satellite played a significant role in the entire landing mission. The photo was snapped by the Chinese lunar satellite DSLWP-B (Longjiang-2) on February 3 and downloaded by the Dwingeloo telescope, located in the Netherlands. The CNSA lifted Longjiang-2's silent period in mid-January, allowing the satellite to take photographs once more. Longjiang-2 had to take a little break from photography for a few months to avoid interfering with the landing of Chang'e 4, but now appears to be back at it. Getting the image did take some effort, though. The probe has since been re-activated and started taking a time-lapse of the Earth-Moon system on 3 February. It has an amateur radio transceiver aboard, which allows communication between the satellite and radio amateurs on Earth.